Our Quality Production. 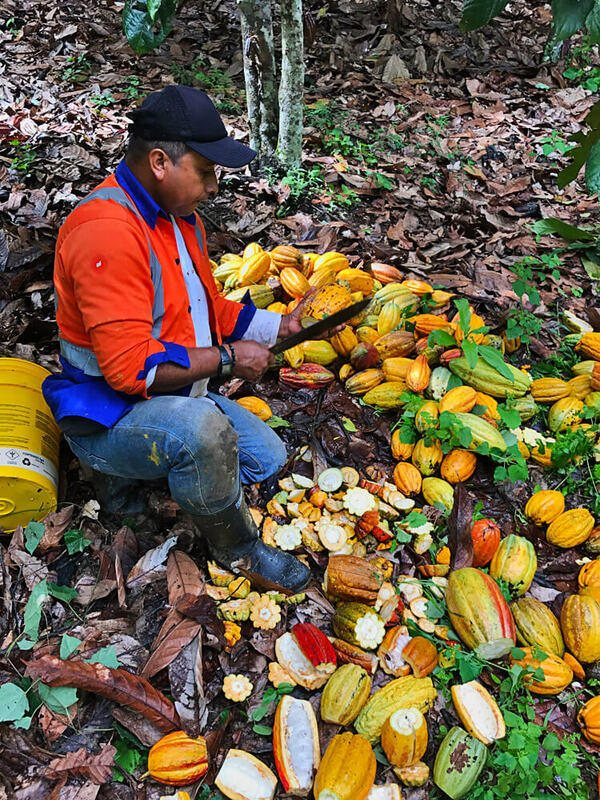 Organic Premium Criollo Cacao. 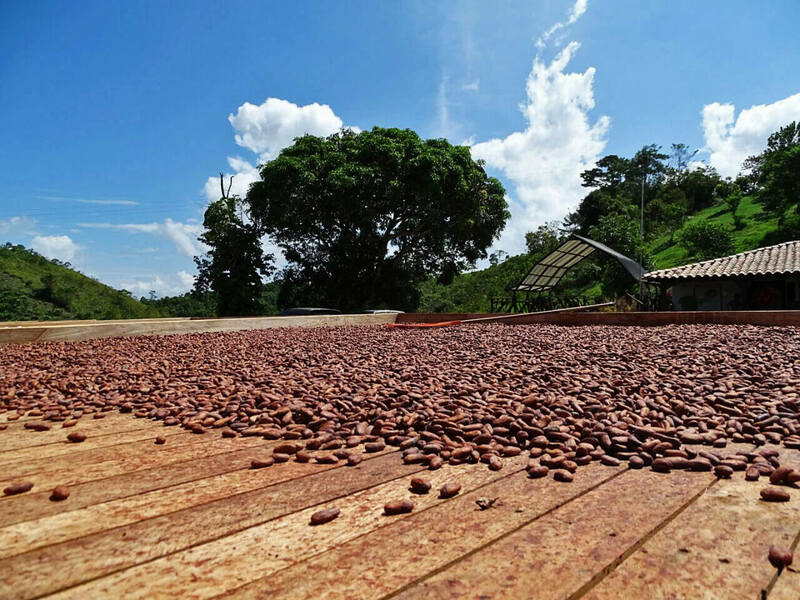 The Cacao production on Hacienda Betulia is driven by environmentally sustainable principles and a high quality approach. 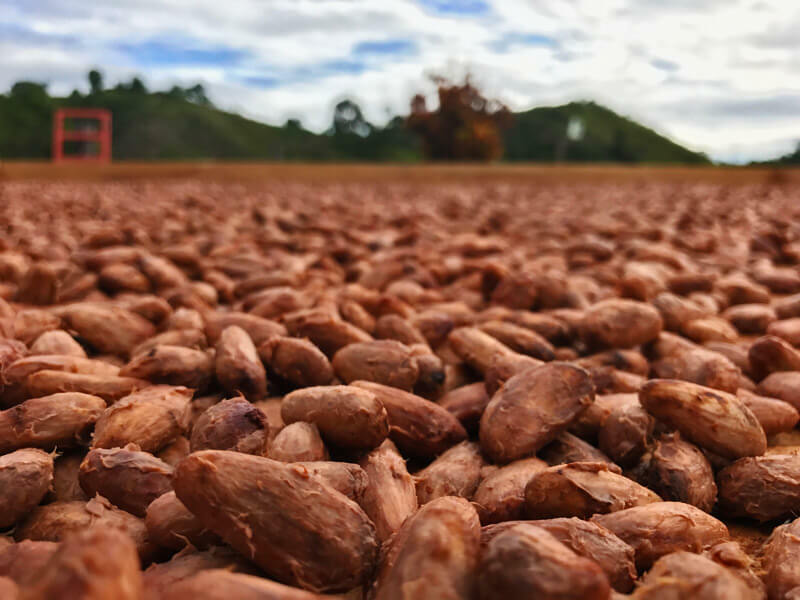 All steps, from planting and natural farming to the special fermentation and drying of our unique Betulia beans, are performed with greatest care and respect towards the best possible result: A rare, single variety Colombian Criollo cacao with exquisite, complex flavours. 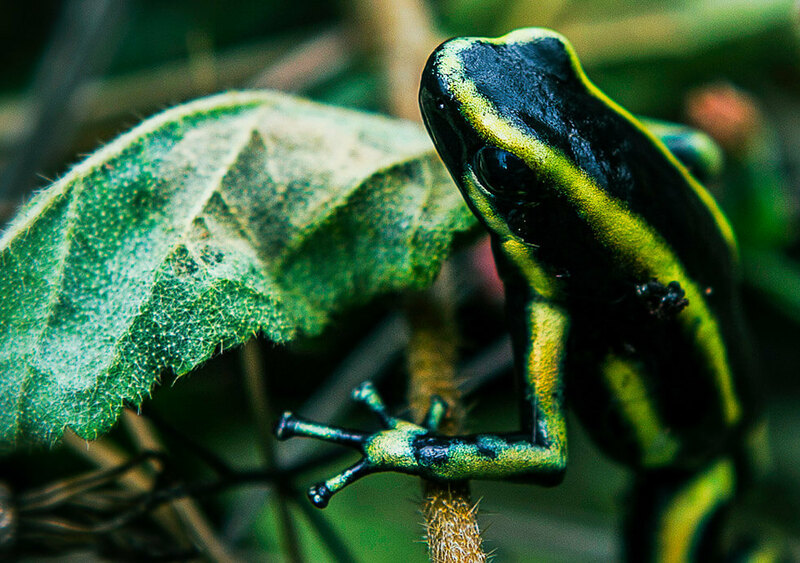 Our fully organic production is based on a scientific, carefully balanced cultivation concept. At the very beginning an extensive soil and climate analysis took place. 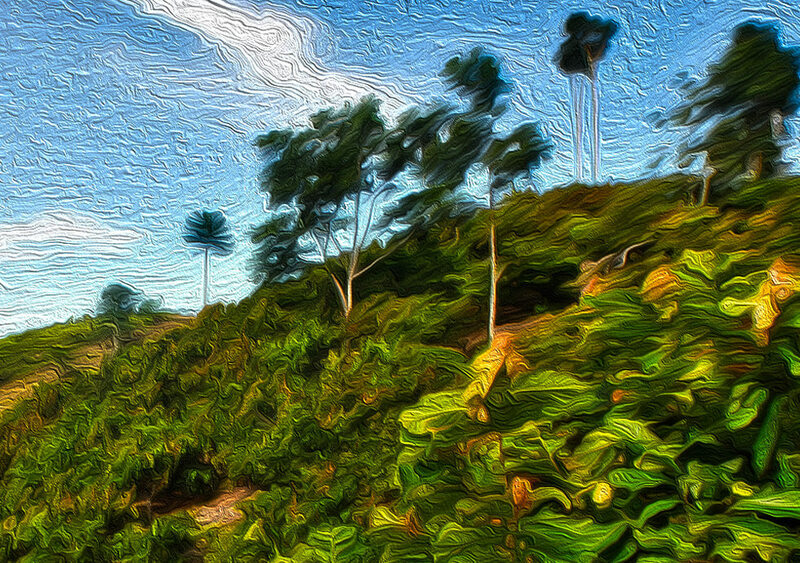 Based on the results, a diverse agroforest concept was defined and implemented. 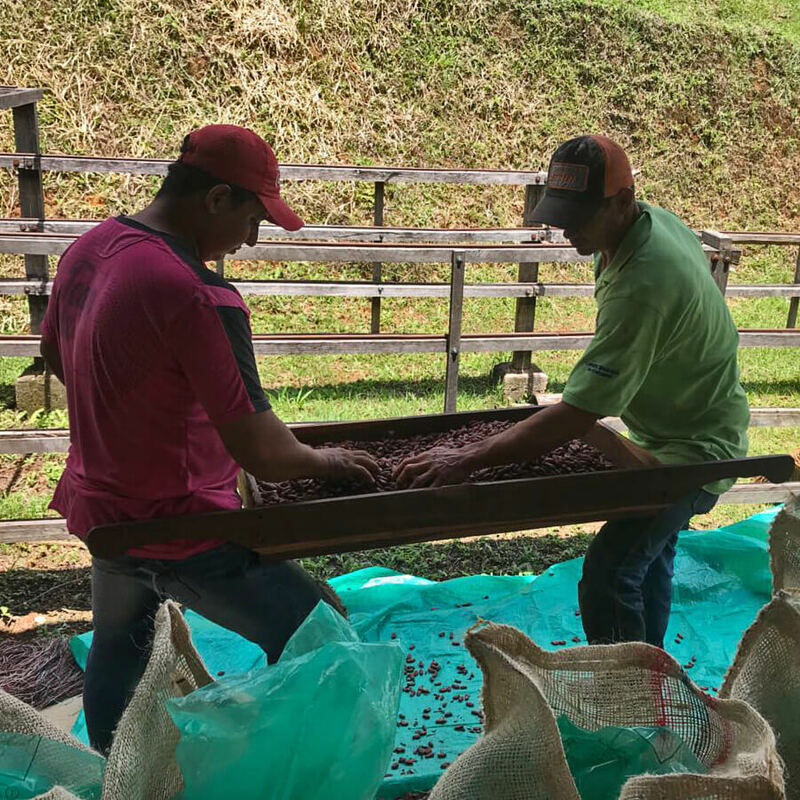 Based on careful observations, three local productive Criollo trees, which produce “white”, flavored beans, promising a complex flavour cacao were selected. 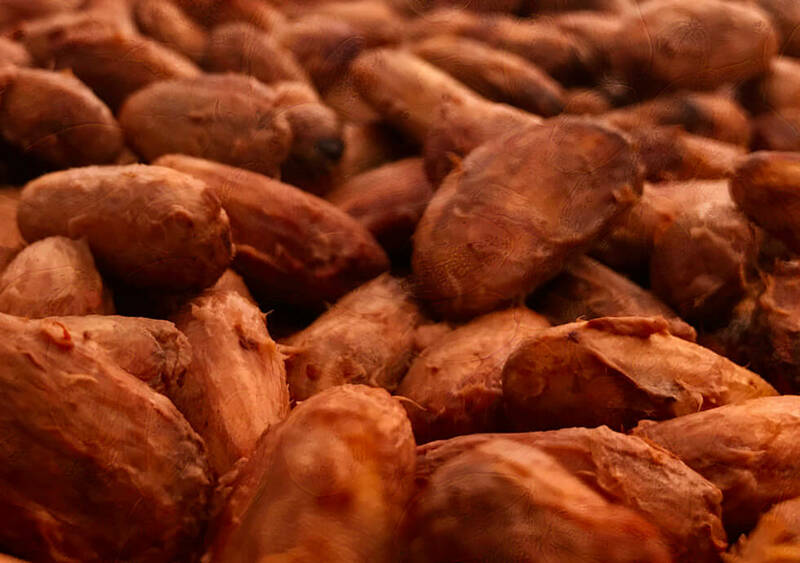 These special Criollos are locally called “Betulia”. The selected trees – distinguished by numbers B6, B8, B9 – were grafted and multiplied over time. 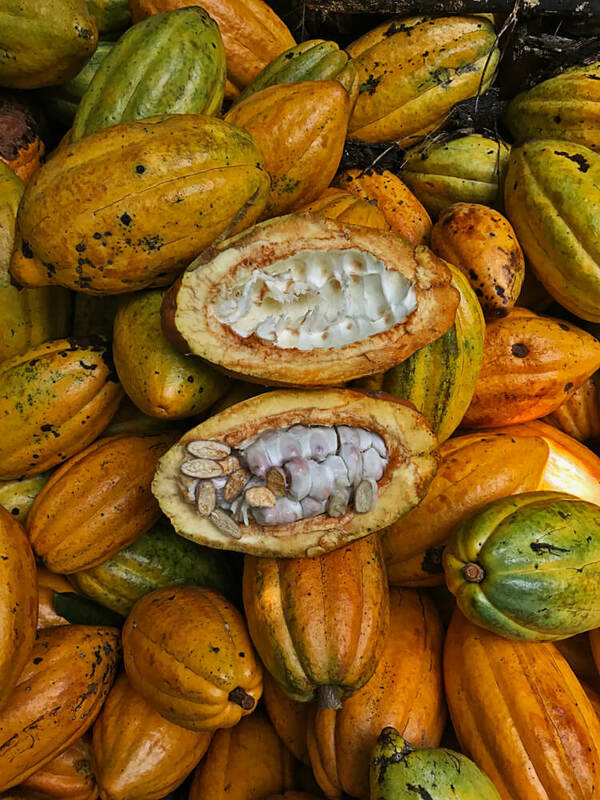 Cacao trees around the world are usually planted with a high density, to create high yields on the limited plantation space. Since the mid 20th century commercial stands were established in 3 x 3 m spacing, superseeding traditional low planting densities to realize higher profits. 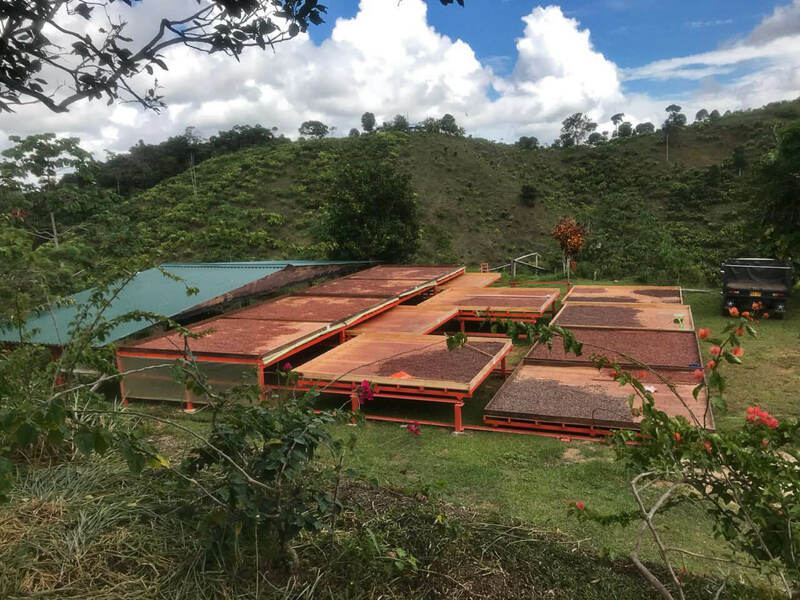 This is especially true for huge plantations with industrial-like production, which produce large cacao quantities for the price-sensitive low-end chocolate market. 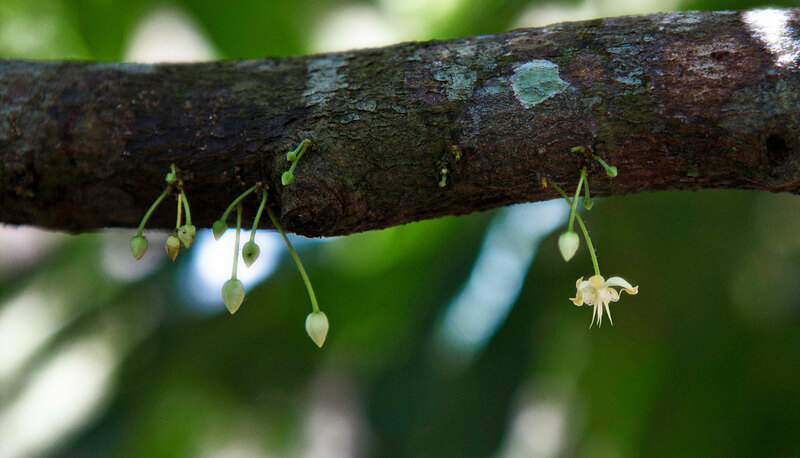 On the other hand, high densities can result in future production drops and increase the risk of typical cacao diseases, like witches’ broom incidence, caused by the fungus Crinipellis perniciosa. 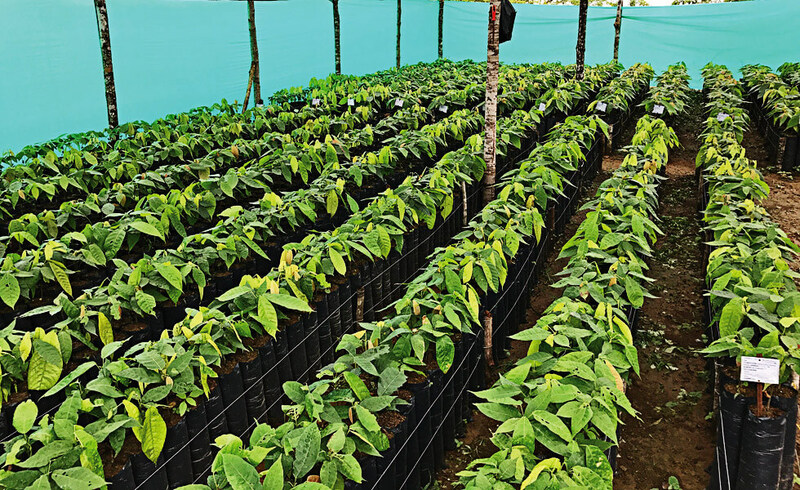 At Hacienda Betulia planting takes place at 4 x 4 m for every single – consequently grafted – Criollo tree. The generous spacing combines good light penetration with vigour and resistance to diseases. Finally the more balanced cultivation, with characteristics of self-sustainability, provides better quality results over time. 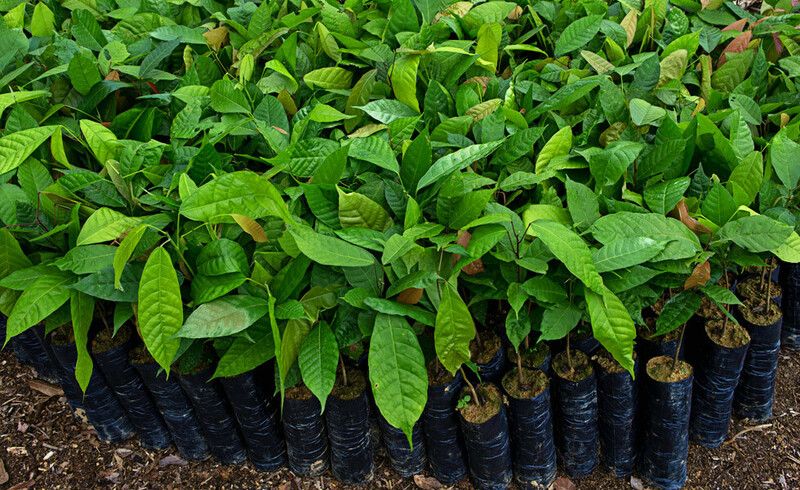 Presently 11.000 trees are planted on 13 ha. Betulia B6, B8 and B9 are being arranged in alternating furrows. 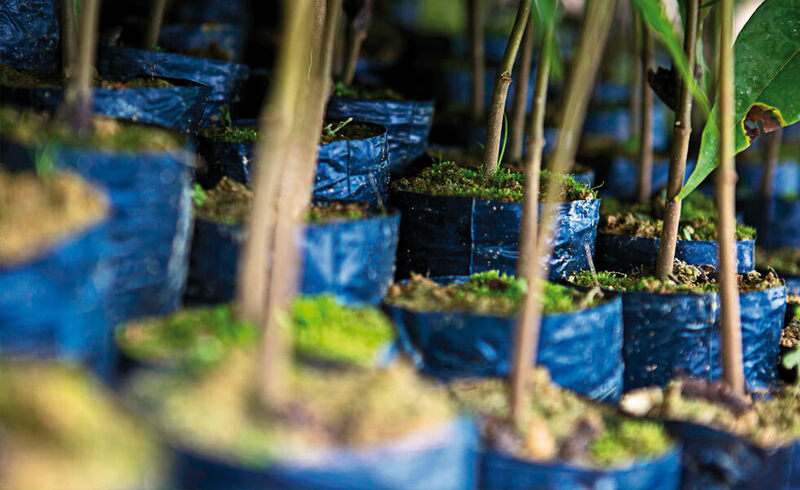 Every tree has its own number and a written biography with all information regarding planting and grafting. 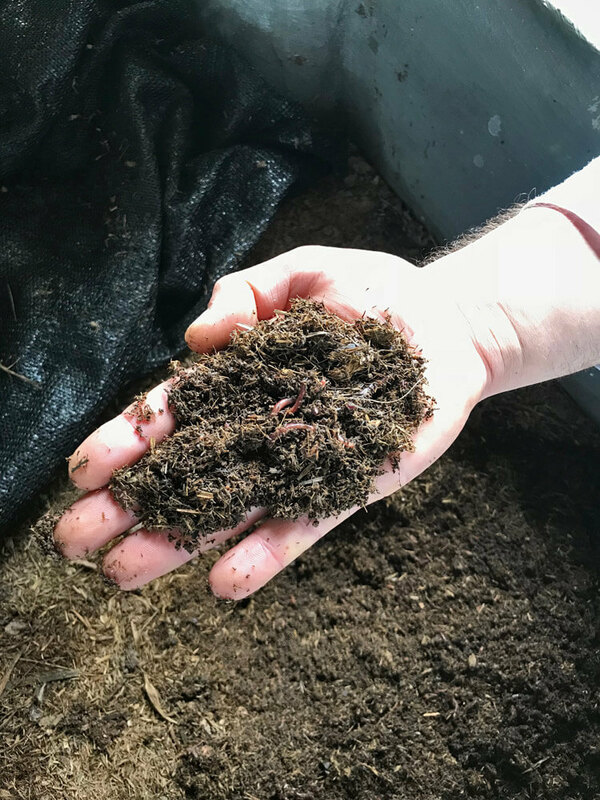 Thanks to the regular soil analyses and a special organic fertilization, a consistent quality is ensured. 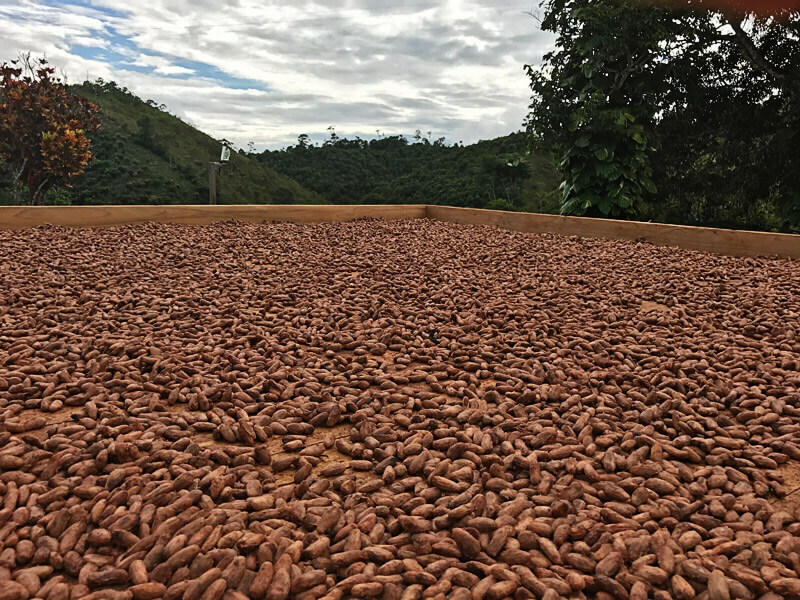 Fermentation is a key stage and most critical element in the processing of cacao beans – especially for the sensitive Cacao Criollo. 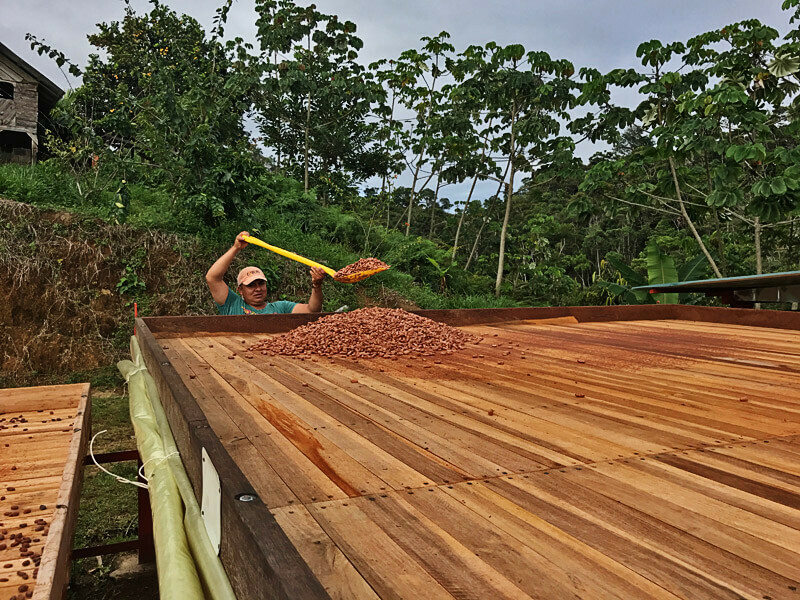 It is laying the foundation for our cacao’s unique flavour. 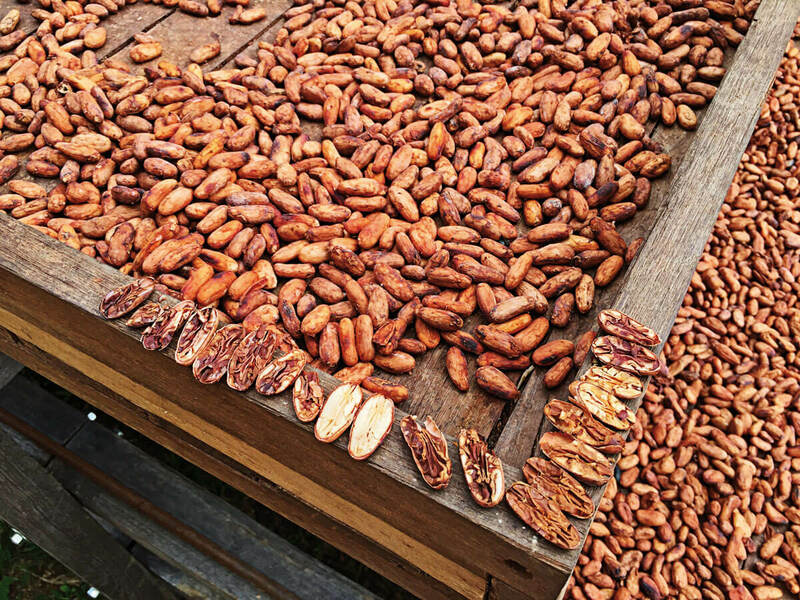 To provide good results Criollos need more efforts than with other varieties. At Hacienda Betulia a special, neutral fermenter boxes are used, to avoid taste-affecting effects during the process. The fermenter construction, made of rare Sapan hardwood, does not add any flavours to the beans. The fermenter boxes are located in a special room. The design provides a better homogenity, high efficiency and is easy to operate. 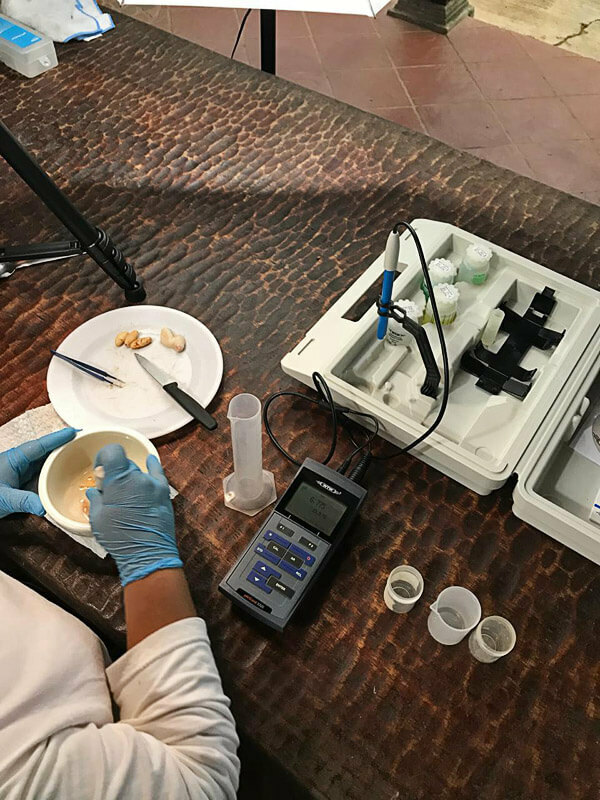 To find the sweet spot between the complex cacao flavour and keeping the health benefits of usually bitter-tasting ingredients, Hacienda Betulia developed specific fermentation processes with accurate control. Every step of the process during the anaerobic and aerobic phases is carefully managed. 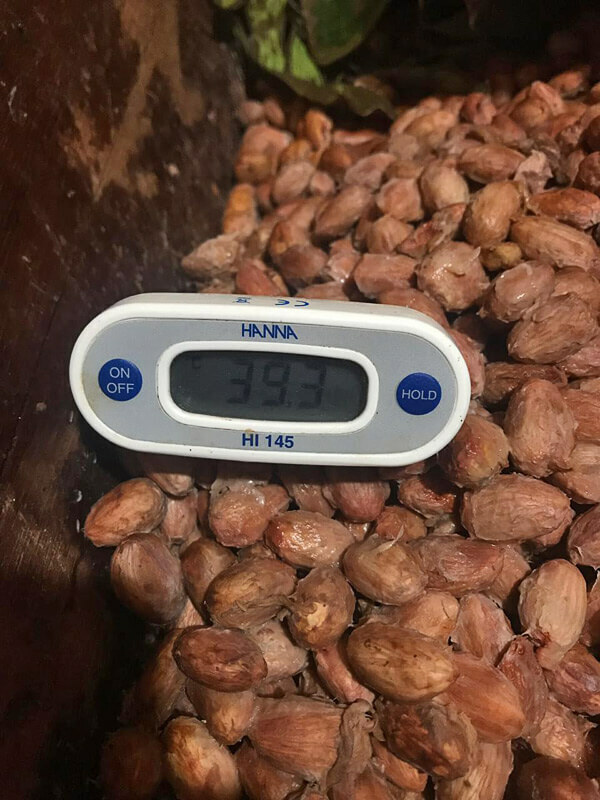 To detect the right moment for the turns during fermentation the bean temperatures and PH values are periodically measured. A special drying installation on nearly 200 m2 ensures a slow, homogeneously drying. 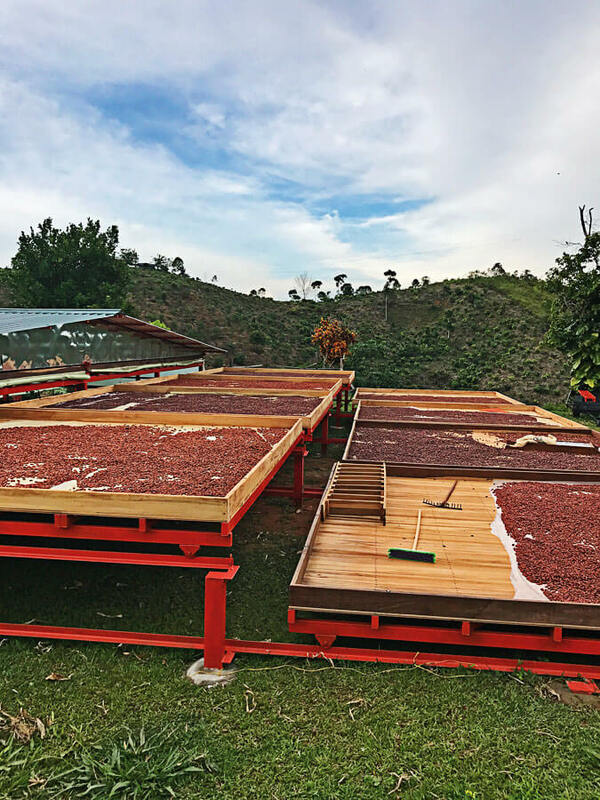 The Betulia beans are protected from the midday sun with movable Carros – which are easily brought under shelter during the hottest hours of the day. 1.5 Tons can be dryed at the same time. 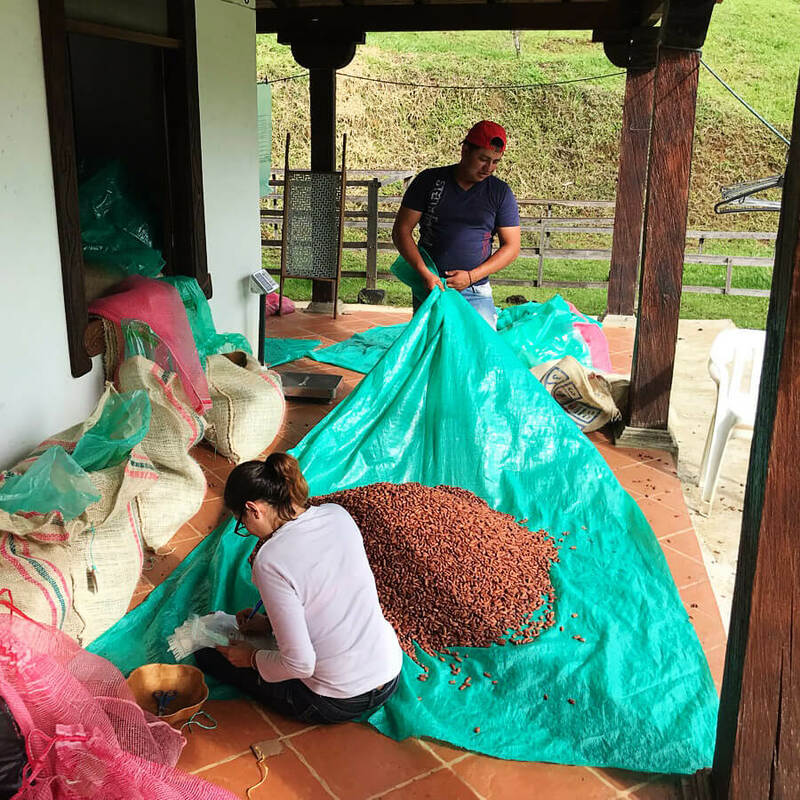 The beans are moved every two hours, to guarantee a homogeneous drying. 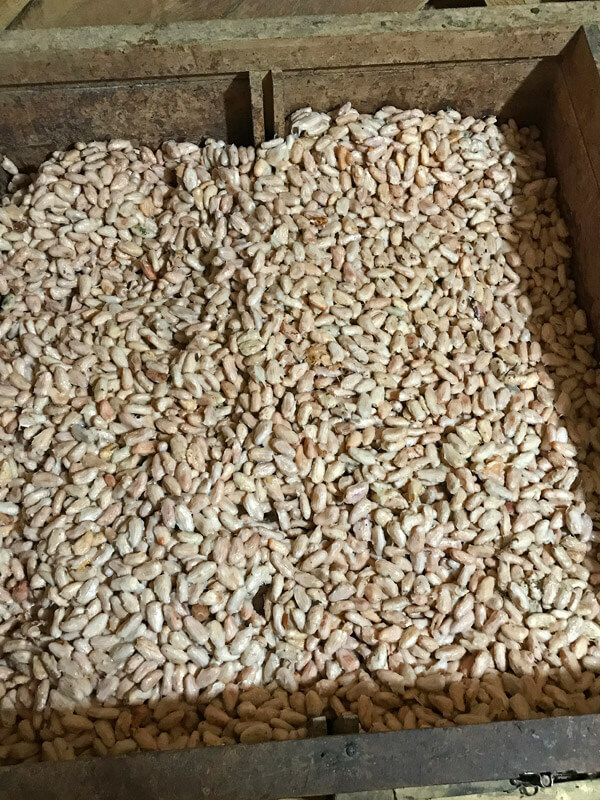 This gentle drying protects the beans and their unique exquisite flavour. Finally the “Betulias” were carefully stored in neutral storage bags in a dry environment. The beans are moved multiple times a day. 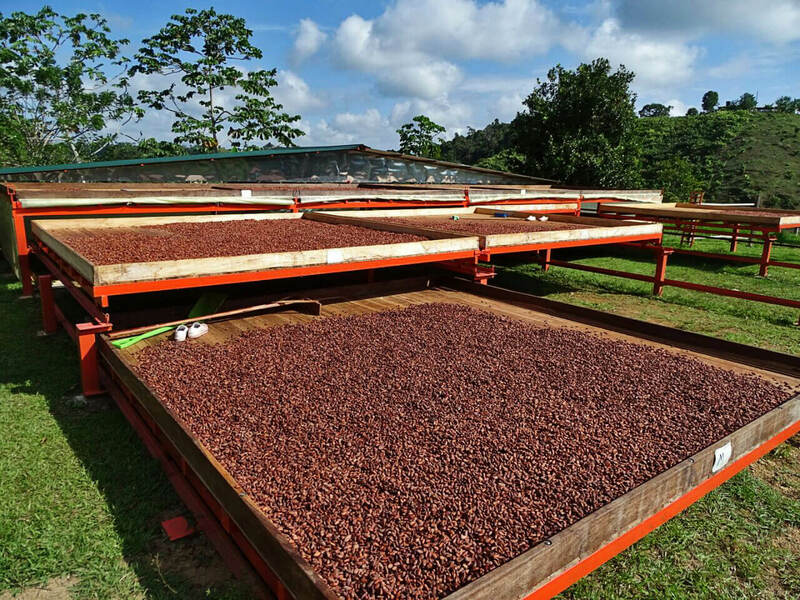 You want to buy small or big quantities of our Cacao? 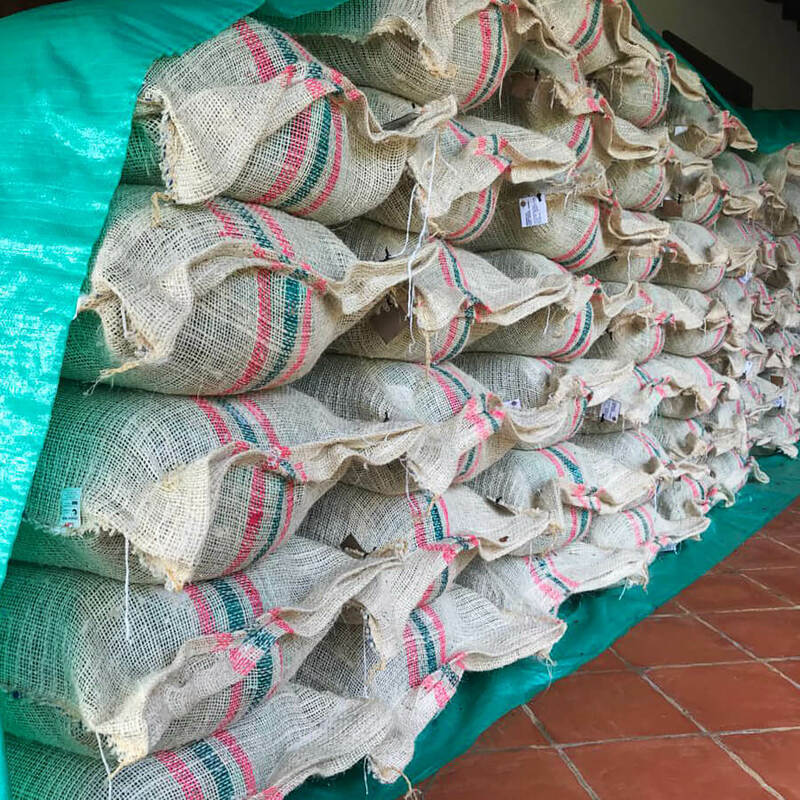 We are shipping high-quality Colombian Cacao beans directly to customers in Europe and especially Switzerland. Please feel free to contact us. For our Tree-to-Bar chocolate products, please use our Online Shop. I want to buy Cacao.